The Brighter Together Foundation was established in 2017 and is led by Limelife by Alcone sales directors and corporate officers. The purpose of this foundation is to foster the innate entrepreneurial spirit of women in the most impoverished societies around the world. • combine the savings to create community-led microfinancing programs. WE members pool their own savings and make loans to one another, and PCI provides these women with comprehensive knowledge, training, and guidance to start and build their own successful business. What makes the WE Initiative special is that PCI further trains these female business owners to become leaders in their community, increasing their economic, cultural, and political status. WE members have demonstrated a 17% increase in their participation in household decision-making, and are better able to provide for their families' health and education needs. Funding for the Brighter Together efforts comes from rank promotion donations, sales of custom collections, and contributions from our sales field. Our foundation passes 100% of its funding onto our charitable partner and 89% of PCI's funding goes directly to entrepreneurial field training and support. The Brighter Together Foundation has already helped over 750,000 women receive entrepreneurial training in Tanzania, India, Guatemala, and Burundi. 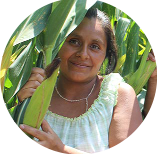 Londy and her husband and three children live in the community of Cipresales in Mixco, Guatemala. Londy and other moms were skeptical at first about joining a WE group to learn business skills and save money. But as they shared their experiences, supported one another, and saw their group savings add up, they began to invest back into their neighborhood. Londy saved enough money to have electric service installed in her home and fix the roof. She then began to set goals for herself and her family. "Now I am beginning a new cycle, and I want to save this year so that my husband and I can enroll our three children in school next year and give them the opportunity to study that we didn't have." "My dream to become an architect is reflected in one of my children and that is why we want to keep saving," she shared. "What begins as a dream based on the confidence we are building as women, can become a reality just like the savings we are building." "I have learned something very important," said Londy. "We women can make decisions and we have rights; we can be leaders and we play an important role in the community and in our families." PCI's Women Empowered (WE) group in Nojaya, Guatemala, "Damas de Ahorro" (Ladies who Save), demonstrated the importance of working together and following an action plan to achieve their collective vision as a group. When they reached their savings goal, they felt a sense of overwhelming confidence and thought, "We can do anything!" They developed a second group action plan to install a micro-irrigation system on a piece of rented land, test a small harvest, and gauge yield and profitability. With technical support from PCI, the group members purchased the materials and learned how to install and manage the system. Many of the group members' husbands got involved, supporting the installation, bringing organic fertilizer and helping to manage the harvest. After four months, the group used the first yield of corn to make cornbread and sold it in the community. The women of Damas de Ahorro recognize these successes as a result of their ability to band together as a group. They say that the most important lesson they have learned through WE is there is a great strength in numbers. With the new micro-irrigation system, their next steps are to plan for a larger investment and yield in order to maximize profits and continue to prove themselves as real change agents for their families and in their community. Chunchun's village is isolated from most of the world for several months of the year to seasonal flooding, causing food shortages and a lack of access to clean water and health care. Sadly, Chunchun lost a newborn boy and girl because of no access to proper care. She also experienced a devastating miscarriage. Chunchun's neighbors reached out and invited her to meet with a group of women in her community for support and advice about healthy living. The women's group is part of Project Concern International's Women Empowered (WE) Initiative group called Parivartan- which means "transformation" in the Hindi Language. The program empowers thousands of community groups in India. With time, Chunchun became pregnant again but she developed severe swelling in her feet and hands after seven months into her pregnancy. Panicked, she reached out to the women in her Parivartan group for guidance and the women took her to a primary health clinic. With proper care, the swelling subsided and Chunchun returned to the same clinic two months later and gave birth to a healthy baby girl. She received antenatal care and learned how to keep herself and her baby healthy. Today, Chunchun is a leader in her own right by stepping out of her comfort zone and seeking guidance and support. And thanks to the unique collaboration of Parivartan, Chunchun's baby has a healthy start at life. PCI's pilot partnership in Tanzania with Solar Sister is providing opportunities for new electricity access and economic empowerment for women and their families. The confidence, leadership skills and social cohesion women gain through our WE program, combined with economic access through partners like Solar Sister, result in real and sustainable impact. PCI and Solar Sister are working together to scale this win-win partnership to bring clean energy access to many more communities. Zuhura is a WE group member and social entrepreneur in Tanzania who purchased portable solar lights and energy-saving cook stoves through her local Solar Sister who is also a WE member. The savings by switching to clean energy is helping Zuhura expand her personal business of selling secondhand clothing and provide for her six children. She replaced the family's old kerosene lights and stove, and her family can now breathe easier. For Jovina, Zuhura's 12-year-old daughter, having a solar light at home also means being able to finish her homework. The solar light produces reliable, brighter light, and Jovina can focus on her studies and her future, even after dusk. You'd be hard pressed to find a time when Lemmy isn't laughing or wearing a smile. Even so, the 51-year-old mother from Tanzania has known profound grief and loss. After losing a teenage daughter to a sudden case of malaria and her husband to diabetes, Lemmy was left to care for her remaining eight children alone. Despite the adversity, she fought hard to support her children, prioritize their education and use her skills as a farmer and tailor to stitch together a better life. 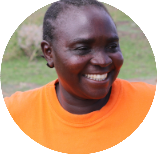 Eventually, through PCI's Women Empowered (WE) Initiative, Lemmy and other women from her village formed a savings and lending group called Tumaini. In Swahili, this means "Hope." 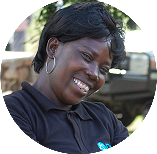 In addition to helping Lemmy gain access to small loans to support her children's education and generate more income, the WE group also helped her find strength in a new role. 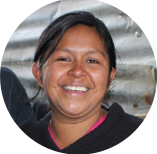 Recognizing her leadership abilities, Lemmy's community nominated her to become a WE Community Facilitator. Now, she oversees eight WE groups that help other local women connect to life-changing activities and support. Shop our Custom Collections with the Brighter Together icon.